When I left Google 2 years ago, I took a few months to decide my next move. I had started three companies, so naturally considered starting a fourth. I also really enjoyed working at scale and learned a ton — Google was so different than a startup yet it put so much in context. I quickly realized that if I searched for a company to join, there are far too many to consider. In technology, we’re lucky that there is an abundance of great companies to choose from and opportunities to pursue. So I needed to invent a framework to evaluate potential options. 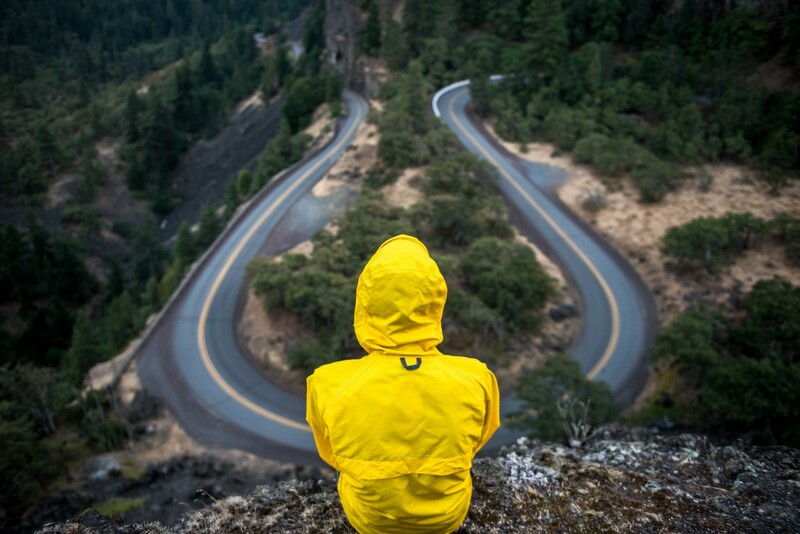 Since joining Credit Karma about 18 months ago, many have asked me about how I made my decision, especially as they face a similar crossroad in their career. So I thought I would share my framework to help anyone looking for “what is next” or simply looking to understand their current employer better. My framework starts by considering four different stages for a technology company. Your role will be very different at each stage, so let’s start by examining each one. If this is how you expected a company to grow, I’m glad you are reading this story. In my experience, I can tell you that the picture looks quite different. If it was so linear, in fact, everyone would start at the beginning. I love the name that my friend Dave Whorton assigns to this phase. When a company begins, the whole company focuses on building a product the customer wants. I’ll define “product fit” in a moment. But this phase is more art than science. Luck plays a big part in the equation. The company’s goal at this stage is to try as many experiments as possible. You are rewarded for iterating quickly. How fast you stop investing in things that aren’t working and lean into things that are working with your customer. It’s not “up and to the right” here, it’s bouncing around not sure where you are on any given moment. This phase can last years, and 99% of companies don’t leave the drunken walk. It’s just as important to note what isn’t valued. Management, process and structure really don’t matter yet. This phase has very little mentorship. It’s not about scale and building things right, it’s about experimentation. This phase really relies on its founders and its engineers. Founders figure out what to build or rely on a few business people to understand their customer. But it’s up to the founders to find that product fit and the engineers to give the company as many chances as possible before funding runs out or the market comes up dry. Let’s define this next stage precisely. It’s not just that a few customers like the product. It’s that you have the unit economics right, meaning the cost to bring in a new customer is less than what you can make from that customer. That’s a really high bar and why so few companies get to this phase. For a consumer company, it might be defined as effective viral growth. In that case, the company is paying nearly nothing to bring in new users to the product. Growth occurs without spending and product fit is achieved as long as customers are bringing in more customers. More typically, however, the company needs to spend money to get distribution, and that’s risky if there isn’t a way to make that back in a reasonable period of time. In fact, many companies get ahead of themselves, especially in loose venture funding climates. If you are considering an early stage consumer company, ensure you understand their distribution strategy and economics. For an enterprise company (company that sells to businesses), “product fit” can be trickier. In the beginning, the business can build a custom solution for a customer that will solve a niche problem. It can probably find a handful of other targets with a little tweaking for each different customer. But can it get to 10 customers? At some point, the product must stand on its own. It can’t morph for each customer and claim to have product fit. Each new sale will lead to feature requests and eventually drown the engineering team. But if the same product is working for multiple customers and the company can efficiently find these customers, it has product fit. When a company enters this phase, they’ve been rubbing two sticks together for a long time and smoke suddenly appears. The entire company crowds around, protecting that smoke and hoping for fire. It’s not time to try new things, it’s time to double down on what’s working. This is the first time process starts to make sense. Guardrails go up to avoid breaking momentum. A sales team has something to sell, marketing has money to spend, and the founders are suddenly distracted with running a successful company. This phase didn’t really exist 10 years ago. Companies that had product fit either stalled or more rarely, outlasted competition over 5–10 years and built a large user base, essentially making it to scale. But today distribution platforms are different. Facebook, the Play Store and the AppStore can instantly scale a hit product. What used to take 10 years, now takes 18 months. And for companies that have superb unit economics, access to capital seems limitless. These companies can aggressively spend on marketing and instantly increase their user base. When a company is in hypergrowth, it can’t hire fast enough. It’s looking for ways to use capital to extend their lead. It is trying to accelerate what is working and simultaneously expand into new areas, taking advantage of its hit product and user base. The challenges here are immense. Companies are effectively “startups at scale”. They suddenly find themselves in this stage and are rarely prepared. Management has yet to be established, critical functions are still being built, and process is basic at best yet leadership is pounding the accelerator. At any given time, there are only a few dozen of companies in this phase. Though it’s a small number, these companies hire aggressively, are well funded, and are scaling rapidly. Opportunities are in abundance and there are many people and situations to learn from. Yet things are moving at such quick pace people don’t always have the time to slow down, teach or even learn. Moreover, the company knows that it needs to change — what got it to this point isn’t what will get it to the next phase. New employees are highly valued as they are brought in for their experience at scale. Moreover, the employee count is growing rapidly. Even with only a few years out of school, after two years at hypergrowth, you might be more tenured than half of the employee base. This gives advancement opportunities that are hard to find in other phases, often leading to team leadership or early management positions. Companies at this phase are market leaders with ubiquity and are the industry’s largest employers. They have a successful culture and for nearly any question on how the business runs, it has a point of view. The company has been through the ringer and come through the other side. There is a seasoned management team, clear process for execution and problem solving, and a history of growth. These technology companies include Google, Facebook, Apple, Netflix, Microsoft, etc. All problems haven’t been solved though, especially as it attempts to sustain growth. The deepest challenge that scale companies face is classic Innovator’s Dilemma. When something has worked so well, how do you invent an adjacent business without breaking the business that built the company? This is so challenging many companies change their structure (see Alphabet) or use M&A to expand their business (see Facebook to WhatsApp & Instagram, Google to YouTube & Doubleclick & Android, and Microsoft to Skype & LinkedIn). Process and management can make these companies strong learning environments, build valuable resume brand, and pay well with compensation that is fully liquid. Projects vary considerably in these organizations, as it’s hard (and often a matter of luck) to navigate these companies and find the right fit. Impact can be high given the number of customers that the company has, but roles are more narrow. Getting things done is far slower than in other phases, leading to serious frustration. In some ways, to innovate the company has to successfully enable projects to return to the beginning and pursue the “drunken walk” all over again. Lastly, in this phase, tenure disproportionately matters. Things get done by people who understand how the organization works. New employees won’t have the same impact as those who have worked for some time, and depending on the company’s culture, this might be a significant if you seek a shorter stint. Now that I’ve introduced these phases, let’s take an orthogonal view by category to ensure understanding. Then we’ll apply these to a few job functions. Structure. Clearly, the larger and more established the company, the more process and structure. More structure means an established way of doing things. That can be helpful to navigate an organization, but also is constraining. Lack of structure makes it harder to come up to speed and frustrating if your role isn’t in control of decisions. But no rules means it’s easier to pursue opportunities and find shortcuts. Innovation. Most people believe innovation and structure are polar opposites, i.e. startups are most innovative while scaled companies struggle to invent. In actuality, I think hypergrowth companies have the most opportunities to innovate. During the “drunken walk”, you have limited resources and severe constraints. Your ideas may be grand, but until you have product fit, you can’t fulfill them. Hypergrowth companies, on the other hand, have deep pockets and a thirst to accelerate and innovate. For me as a founder, it was clear the constraints outpaced my ambition. And since desire to innovate continues to drive me, this was my deciding factor in choosing hypergrowth. Management. The earlier the company, the weaker the management. Resources and larger teams brings mentorship programs, manager of managers, and improved performance management. It also means more peers to learn from. Think carefully about the type of manager you require. If the answer is a seasoned manager or someone who is skilled at bringing the best out of you, you might find more luck at hypergrowth or scale. If you don’t require a manager or prefer to learn by experience or challenge, earlier stage companies might be fine. Tenure. When a company is just starting out, no one has tenure by definition. As the organization matures and rolls past product fit, more senior people exist, have experience in how things are done, and the nuances of the customer. But when it hits hypergrowth, there is a healthy mix of new blood who are valued with their outside experience and the tenured team. Tenure is less relevant at this stage. But at scale, it becomes critical. As you consider your next move, think about how long you plan to spend at the company. If its a short period before your next stop, scaled companies might not be the best choice since you might get into rhythm when you decide to leave. Now that we understand the phases of the S-curve, let’s map roles against them to help decode how they might apply. Since I meet with many product managers, I’ll start here. The worst phase to join for a product manager is the “drunken walk”. Don’t do it, you’ll be miserable. If you are attracted to early stage challenge, found a company or become an engineer. Otherwise you will wrestle with the founders for control of the product. Or you’ll conclude the founders shouldn’t be in charge and you will want founder compensation for finding product fit. Both are bad outcomes, leading to sadness. Better to wait until the company has product fit. At this stage, process matters and a formal way to understand the customer is highly valued. Note this phase lacks innovation. Lots of product managers are driven to the role because they desire control and enjoy building new things. That’s not this phase, in fact it’s the opposite. Join a “Product Fit” company because you like to organize, add lightweight process, and work with entrepreneurs. Scaled companies have the most positions, so are likely in every job search. They pay well, have an existing product management culture, have a process to learn and a set of managers, mentors, and classes to teach discipline and understand the company. For product managers, spend at least one time in an established company early in your career to learn the ropes. You don’t have to stay for 10 years, but if your goal is to learn, it’s guaranteed to be helpful. There are downsides to scaled companies, as no phase is perfect. Products move slowly, you can end up in the vortex of organizational politics and be marginalized against engineers or executives. Tenure matters, so if you plan to be there for a few years, it’ll be hard to have impact unless you come in at a senior position. By far, the most interesting roles are found in hypergrowth for PMs. Process and structure is under construction while the company is looking to innovate. Resources and opportunities are abundant, so the challenge is to focus and choose the right opportunities leveraging the strength of the company. Essentially product management challenges. Similarly, the soft skills of the organization are critical to get right which require a strong PM team to hold things together. The major downside for hypergrowth is the lack of deep management and mentorship. Things are moving too fast to effectively develop people. Most of the ways things get done in the organization need to be changed, so you are flying blind often. On a good day, it’s empowering and exhilarating. On a bad one, it’s frustrating, scary and depressing. If you are an engineer, before we map to the different phases, we need to understand what motivates you. Score yourself from strongly disagree to strongly agree with the following statements. Technical challenge. You like solving really tricky engineering problems, perhaps that only exist at scale or at the bleeding edge of innovation. Mentorship. You want to learn from more senior team members, and have found that the preferred way to develop is by learning from others instead of being thrown into a situation. Code quality. You prefer to build a clean solution with a solid foundation that scales and is easily maintained. You find it frustrating to solve problems with throwaway code, and would rather take the additional time and effort to get it right. Multiple hats. You like to code, but derive joy from doing a bit of everything. You like to understand the user, talk to customers, mentor other developers, and shape the culture and overall direction of the company. Early stage “drunken walk” companies rely on its engineers to find product fit. This is a great stage for many engineers, since it’s building from scratch in a small team, wearing multiple hats with the developers in control of their own destiny. Compensation is lower in cash but higher in equity. There is risk that the company doesn’t find fit, but for most engineers, the risk is minimal as there will be other jobs. Some early stage companies are solving very tricky technical challenges, but in my experience, the trickiest problems typically hit when the company has considerable scale and resources. The big challenge with early stage is that you throw a lot of code away and don’t get rewarded for well engineered solutions. Everything comes down to speed and product fit. Things are still engineered, just not as well as you want. This can frustrate many engineers so it’s important if you scored this highly. Also there isn’t much mentorship and practically zero management. You need to describe yourself as a self starter and good at learning things on your own. If you need a lot of hand holding, you’ll be a burden and end up being frustrated or working on side projects. When the company hits “product fit”, structure and management start to slowly improve. But it’s at the expense of innovation and the role starts to narrow. If you are middle of the road on all four categories on the scorecard above, this might be the right phase for you. Hypergrowth has everything under one roof. There are fast moving, innovative projects with little structure. Other projects are scaling and clearly working, so it’s building quality foundation, working with senior engineers, and solving really thorny problems at scale. If you have an offer from hypergrowth and you like the company, team and project, you can’t really go wrong at this phase. Companies at scale solve some of the most difficult technical problems. Often they invest for years before they see a return (see driverless cars, virtual reality, etc.). Or they have unprecedented scale or access to enormous levels of data. If solving these problems drive you, head this way. Scaled companies have terrific managers, mentors, structure and foundation. An engineering culture like Google, Facebook and Microsoft can be paradise for engineers who like hanging out with people, well, like themselves. The challenge with this stage is around speed, innovation and impact. Things move slowly since there is so much structure and code. It’s hard to build something brand new or have major impact until you are senior and have tenure. I recommend working at scale at some point in your career, similar to product managers. You learn a ton very quickly and the lessons and people you meet help you at the other phases. But to pick most effectively, make sure you know yourself, how you are changing, and what you are seeking. Most important advice here is to be very careful when joining a company before product fit. The company has to acquire customers and to think carefully about their market, but it rarely seeks a traditional sales or marketing team. You need to be an athlete who can do a bit of everything under the “business” umbrella. Most traditional marketing and sales people don’t have this breadth of skills. Moreover, as the company starts rolling, you might struggle to find a permanent home. If you like doing evangelical sales and bringing brand new products to market, this might be your phase but proceed with caution. Product fit is a great stage for business entrepreneurs. The product is working and there are customer references and funding to scale the business. Salespeople now have a product to sell and can turn the crank. Marketing is tuning their acquisition channel and experimenting with other forms of distribution. Unlike the product which is holding steady, sales and marketing can take more risks and really find new pockets of the market to explore. Scaled companies have the obvious benefits and challenges. Big teams with lots of people to learn from, clear product and market fit, but lots of structure, bureaucracy and politics, and smaller impact. Hypergrowth has the combination of early and late stage companies and are great choices given the right project. Ultimately, the choice of phase comes down to your desired level of structure, mentorship, innovation and responsibility. Optimizing this is deeply personal and will change as you mature in your career. I’m hoping by sharing this framework, you can intelligently examine any company and filter down your choices. As for me, I chose Credit Karma because it was just beginning hypergrowth. Since I joined we’ve doubled the employee base and have that ”organized chaos” brought on by scaling what’s working while inventing new things daily. It’s given me a ton of joy as product management is critical, resources and opportunities are abundant, and we are only constrained by our ambition, focus and the great people we can attract to join us. Hoping this was as helpful to you as it was to me in my job journey. Good luck and please leave me comments!